Canadian citizen Omar Khadr has spent nearly half his life in prison. Yet when he spoke publicly for the first time on May 7, there was no bitterness in his voice aimed towards those who have fought for years to keep him behind bars. Captured in 2002 at the age of 15 by American soldiers in Afghanistan, and later held at the infamous Guantanamo Bay detention centre, Khadr’s case is not new to Canadians. It has been characterized for years by government inaction and a lack of respect for democratic process, and will remain a blemish on the Canadian public conscience. Throughout his case the federal government has seemed to prove a commitment to working against the justice system. They have failed to protect the rights of a child soldier, and have championed a flawed corrections system that places punishment above rehabilitation. After pleading guilty to war crimes in 2010, including the killing of American Sargent Christopher Speer, Omar Khadr was transferred to a Canadian prison in 2012 to serve out the remaining eight years of his sentence. On April 24, an Alberta judge granted Khadr release on bail, even after a last ditch attempt by the Conservative government to thwart her decision. The Harper government has since filed an appeal of his bail order. This is not the first time the Conservatives have butted heads with the Canadian justice system on Khadr’s case. In 2008, the Supreme Court of Canada ruled Canadian involvement in the interrogation of Khadr at Guantanamo Bay to be illegal. The government later appealed that ruling as well. The Conservative government is quick to point out that Khadr plead guilty to killing Sargent Christopher Speer, but they are not as quick to recognize that he did so after years of torture. Their refusal to recognize Khadr’s rights as a Canadian and as a child soldier are emblematic of their flawed approach to corrections. 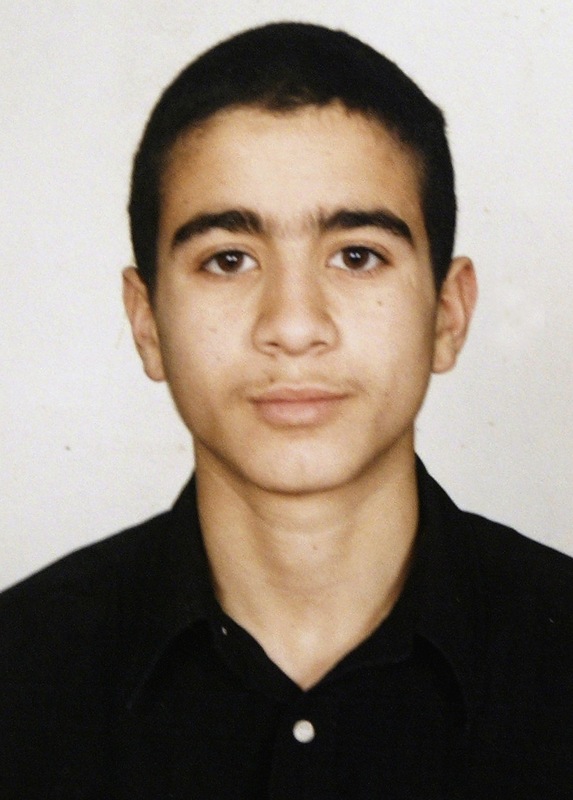 At the age of 15, there is no doubt that Khadr was a child soldier at the time of his capture. Amnesty International has called him the “only child soldier put on trial in modern history,” and former Canadian Senator Romeo Dallaire has been an advocate for Khadr’s rights as a child soldier. Since his release on bail, the Conservative talking points have been in line with their “tough on crime” ideology, and have claimed to be committed to protecting victims’ families. However, what is lost in this political rhetoric is that Khadr has also been a victim and a scapegoat of a government hell-bent on striking fear into the hearts and minds of Canadians. When Khadr spoke to media outside his lawyer’s Edmonton home last week, he reminded Canadians of the person behind his notorious name. He was soft-spoken, smiling, and remarkably calm despite over a decade of trauma. At a time when the controversial anti-terrorism, Bill C-51 has just passed its third reading in the House of Commons, and with an election just months away, Ottawa’s response to Khadr is representative of a government that has been shaped by the War on Terror. By opposing Khadr’s release on bail, Harper hopes Canadians will see him as a strong leader who will protect Canada from the threat of terrorism. However, the government is false in thinking that fear mongering will sway Canadians. Khadr’s case also draws attention to the Conservative government’s lack of commitment to rehabilitation in the corrections system. Although the Conservatives seem to have a one-track mind when it comes to corrections, the Correctional Service of Canada actually has two goals: carrying out sentences, and assisting in the rehabilitation of offenders. For years, the Harper government has waged a war on prison programming. As demonstrated by the case of Omar Khadr, they continue to favour punishment over preparation for a safe release into communities. If the Conservatives want to prove their commitment to Canada’s democratic principles, they must work with, not against, the Canadian justice system; respect the rights of child soldiers; and recognize the responsibility they have to rehabilitation so that people like Omar Khadr have a chance to become contributing members of society.